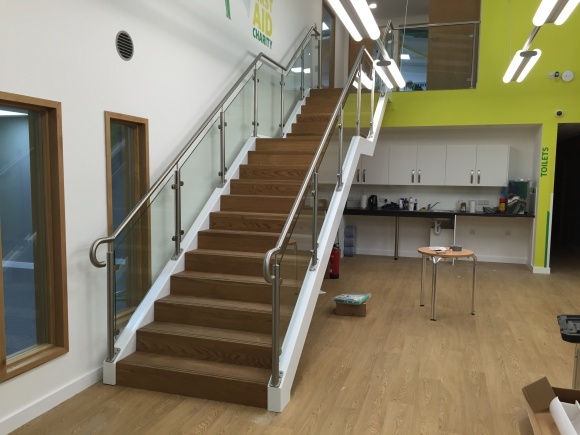 Docklands Systems manufacture, design and install bespoke staircases to suit your requirements. We have our own steel fabrication, wood joinery and powder coating facilities to be able to build precisely to your request. A variety of finishes can be used such as galvanizing and powder coating. Any tread coverings you would like can be included; For example, tiles or timber. We can also manufacture fire escapes and spiral staircases. Our staircases are all manufactured to meet building standards and regulations. Please e-mail or phone for any enquiries.